There are three kinds of lies: lies, damned lies, and statistics - and poker is perhaps not immune to Benjamin Disraelis oft-quoted phrase, but where does the career of high-stakes pro wilhasha fall amidst the often secretive or anonymous nature of the online game? 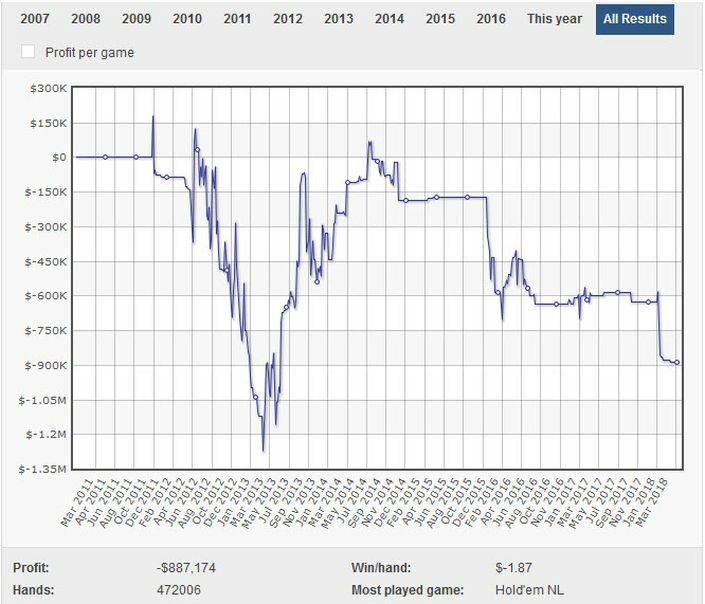 By our account, the allegedly Bosnian-Swedish pro is a massive loser in the biggest cash games on PokerStars – his graph resembling some deep sea trench or other, a brief escape from the murky depths and then a steady decline back into the abyss. His identity? Denis ‘Denoking’ Bahonjic, an absolute crusher on Full Tilt? Or perhaps he is Dennis ‘El Klonkador’ Bejedal, as others have claimed? Either way, with information, disinformation and red (pickled Swedish?) herrings criss-crossing the internet forums, the best we can do is make an educated guess…and we are going with Mr Bahonjic - sticking to the statistics and ignoring the lies and ‘white’ lies. But what’s curious about those graphs..? 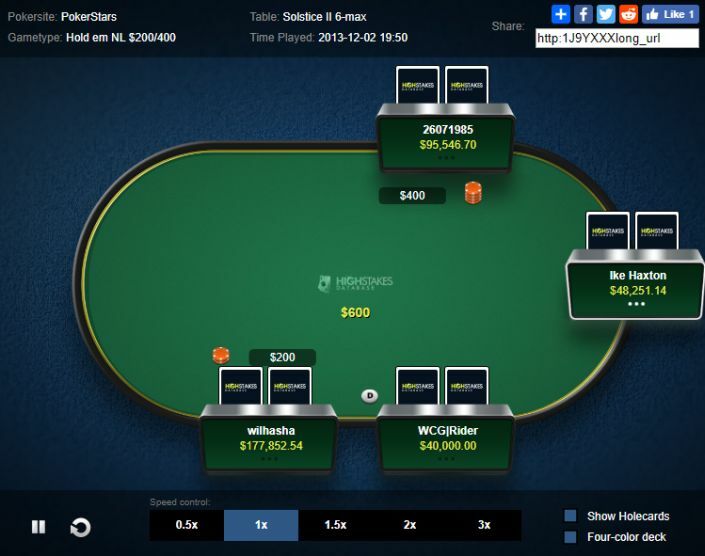 Comparing the two graphs, ‘Wilhasha’ starts to climb out of his $1.2million+ hole on PokerStars, and at the exact same time ‘denoking’ appears at the highest stakes on Full Tilt, where, after a brief $½million downturn, he climbs…and climbs…and climbs! 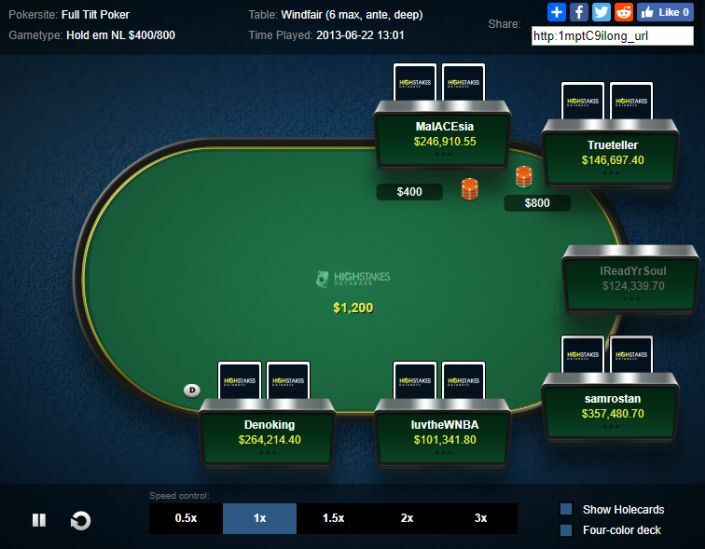 If playing $400/800 6-max sounds brutal, ‘denoking’ Bahonjic’s stakes and opponent’s heads-up were no less impressive – huge sessions against Ben ‘Bttech86’ Tollerene at $200/400 making the headlines late in 2014. 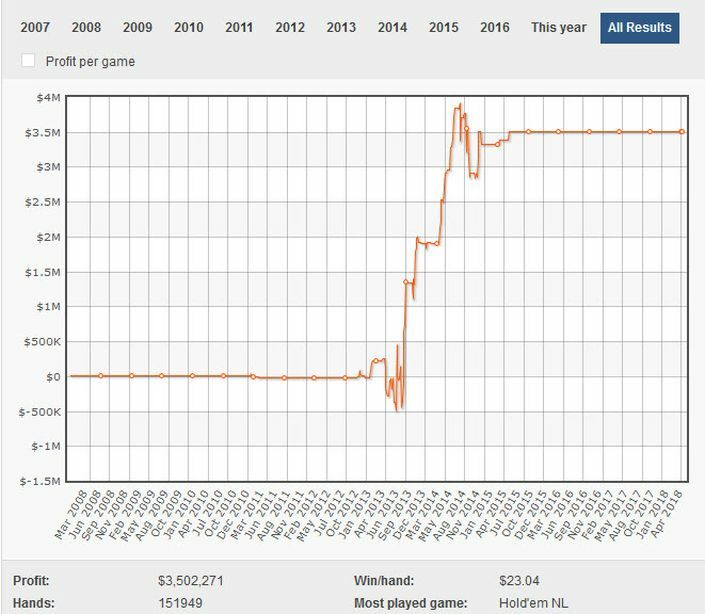 By mid-2015, however, the meteoric double-life as a nosebleed crusher was all but over for Denis ‘denoking/wilhasha’ Bahonjic, Full Tilt on its way to being subsumed by PokerStars and a steady decline back to almost $1million in the red for ‘wilhasha’ on PS. As German reporter Tobias Block discovered back in the day, however, ‘wilhasha’ isn’t all about the money, the high-stakes enigma telling him: "You don't need more than $5000 per month in order to have a good life. Anything beyond that is basically a freeroll." And that was some freeroll!